TEMPERATURES are rising at Parramatta’s Memorial Pool and this time it has got little to do with the weather. 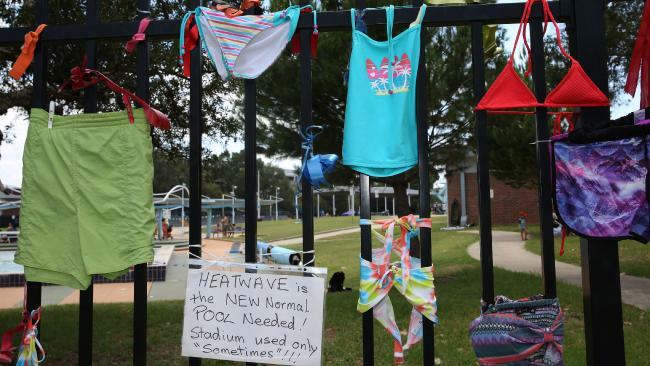 On Saturday, Togs on the Fence saw protesting swimmers hang their old swimming trunks and bikinis on the fence around the pool in another display of unhappiness at the planned end-of-March pool closure to make way for a new and bigger sports stadium. “Togs on the Fence campaign is a way for community to show the state government how important this pool to is to people of western Sydney,” North Parramatta Residents Action Group president Suzette Meade said. More than 200 signatures were added to a petition organised by NPRAG on the weekend.